Everyone who dreams of having a family should be able to see that dream become a reality. For thousands of families every year, the means by which this dream is fulfilled is adoption. While hopeful parents come to adoption from many different walks of life, what they all find is similar: a beautiful connection with their baby that completely changes their lives. Adoption isn’t always easy, but it is worth it. The process can be long — families often wait several months to a year or more for placement with their baby. It is also expensive for the adoptive family because of the costs associated with completing adoption in a responsible, ethical and legal manner. Any adoptive family who completes a successful placement shows incredible commitment and determination. When the process is over and the adoption is finalized, there is a unique moment of joy for the family. At this moment, the idea of adopting again seems too challenging. Several years down the road, that feeling begins to fade. The dream of being parents has been fulfilled, but what about siblings? What about growing your family again? Should you adopt again? This thought would’ve seemed impossible at the first adoption finalization, just like no one thinks immediately about having another child after giving birth. It takes time to consider growing your family again through any means. Deciding whether or not to adopt again is a big choice. As any family who has adopted knows, this is a major commitment. There’s no going into adoption half-heartedly. You’re either all-in, or you’re out. How can you come to the right conclusion? This is ultimately a very personal decision. You know your family better than anyone. While resources and research online can be very helpful, it comes down to your judgement and your choice. If you’d like to weigh the options with a professional, you can always call 1-800-ADOPTION to speak with an unbiased adoption specialist. In the meantime, there are several key questions to consider. Only you know the answers for your situation, and hopefully these questions will put you on the right track. Do we want to grow our family again? You can’t move on to other aspects of a second adoption before being completely sure of the answer to this question. Having a second child is a significant change. It will alter your schedule, family dynamic, parenting style and so much more. For some, that may be an exciting thought. For others, it strikes fear in the heart. It’s okay to take your time with this question. Hopeful adoptive parents have to be committed to the process from the beginning. If there are lingering doubts, don’t start a second adoption process. If one parent is on board but the other has trepidations, it’s best to wait until you are of one mind on the subject. This one question may take up most of your time spent considering a second adoption, and that’s okay. Once you have reached a clear decision and are sure you want to grow your family, you can move on to the other questions. Can we support another child financially? 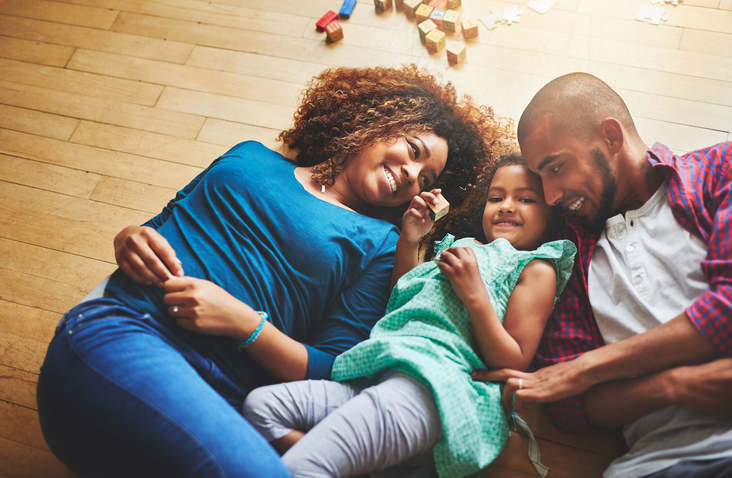 While the first was more a question of the heart, it’s also important to consider the practical matters of a second adoption. This question hits two areas: the adoption process and life beyond. Firstly, are you able to fund another adoption process? Adoption, as anyone considering a second process knows, can be expensive. There are plenty of creative ways to fundraise for an adoption, and many families do look for supplemental funding during the process. However, it’s recommended that you be financially prepared for the potential costs of adoption before beginning the process. There’s also life after placement to consider. A family of four costs more than a family of three. The estimated price of raising a child from birth to 18 keeps going up. Do you have the resources to provide a stable situation for a new child? These questions aren’t fun or easy to talk about, but they are vitally important. Do we have a community who supports our family? Raising children takes more than just financial support. Do you have a trusted support network to encourage and help you along the way during a second adoption process? You may need babysitters at different points during the process, or even someone to help you out with meals. After placement, having a community of people invested in helping your children thrive can be life-changing. When considering a second adoption, think about the community around you and how supportive they are. Is there an adoption agency we trust? An adoption professional can make or break your experience with adoption. Is there an adoption agency you trust? If you had a good experience with your first adoption, you can use that agency again. If things didn’t go well the first time, you may want to find a different adoption agency to guide you to a successful placement. Talking about these questions with an adoption specialist can help you find clarity. You can call 1-800-ADOPTION at any time. This call is always free, and you’ll never be pressured into choosing adoption. A second adoption isn’t right for everyone. But, for some families, it can be perfect.